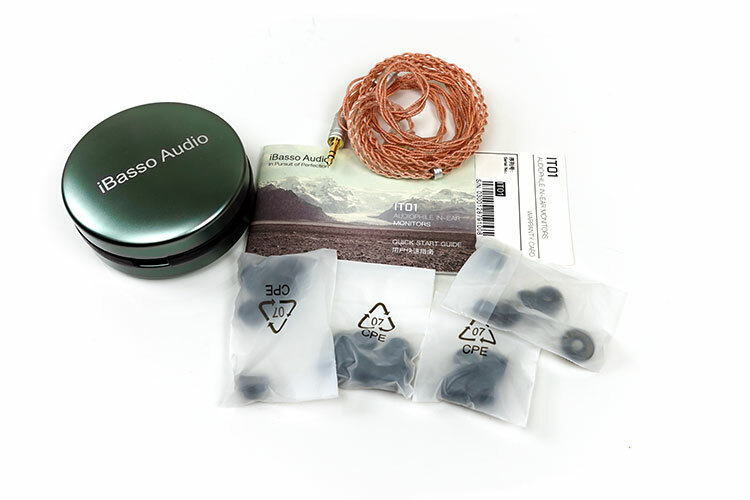 The iBasso IT01 is their new entry-level single dynamic driver IEM which will run alongside the previously reviewed IT03 and the soon to be launched IT04. I cannot overstate how much hype was surrounding the IT03 when it first came out. There was definitely some justification for it with its excellent fit, competitive pricing and exciting hybrid musical sound. The gap between the IT03 and IT01 was just over a year which is a long time in the world of audio launches these days. However, iBasso always has a knack for producing something a little different to the norm. 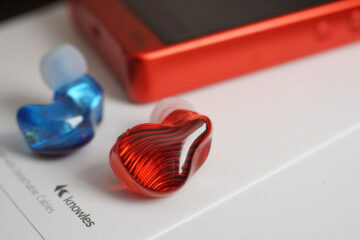 They tend to appeal to the ‘thinking audiophile’ with their DAP colorations and amp card descriptions. Yet, the IEM range is a contrast for me to that approach. This is more of a bold statement, a “have at it” and just let rip with a bit of fun thrown. At $99 the IT01 is their cheapest offering to date (for their IEM range) and by all accounts that “fun” mantra seems to have continued unabated. The IT01 is not a slimmed down IT03. It does not share the same dynamic driver. 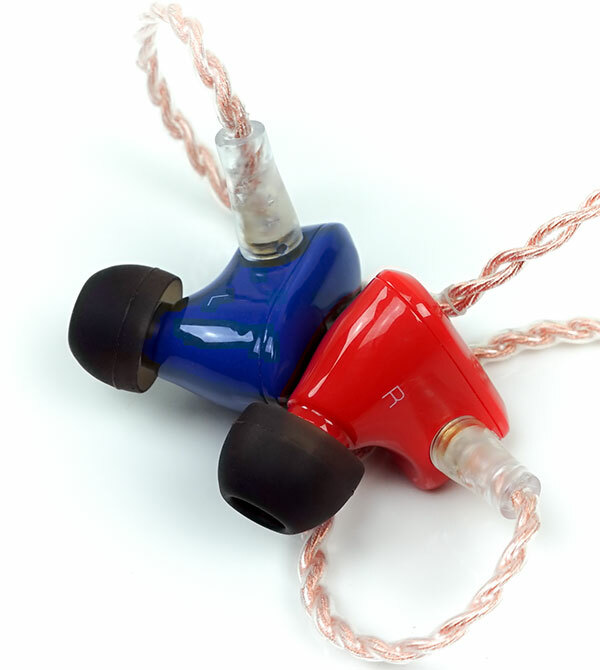 Instead, the IT01 comes packed with a brand new 10mm DD developed in-house by iBasso. This 10mm dynamic driver is pitched as having 3 technology talking points that iBasso feel will make this a ‘killer’ IEM for the price. The first is a magnetic flux density value of almost 1 Tesla. A density of beyond 1T is pretty hard to achieve, to get close to 1T for $99 is a feat in itself. iBasso has delivered a very powerful magnetic drive which they feel will produce better detail and with a lower degree of total harmonic distortion even at loud volumes. The second key feature is a set of dual Helmholtz resonators which help to intensify and dampen the sound field of the driver. It can also substantially reduce resonance and unintended noise at the low-frequency domain or any frequency range of interest depending on the resonators specific design. The final feature is the use of a multi-layered graphene diaphragm. Graphene is basically a slither of graphite. It is incredibly light and thin and one of the best electrical conductors in the business. They also have an extremely small mass density and can be configured to have very small effective spring constant. Another excellent material for lowering levels of distortion and improving transient response. The IT01 is almost a miniaturized IT03 in terms of form factor. The IT03 I hailed as being one of the best fits for a universal IEM due to the contoured design that pretty much gave a custom type feel in the ear. The IT012 is not that far off. It does not have quite the extravagant lines of the IT03, there have been some compromises after all in getting down to the price point but it is fairly close. The volumetric size is smaller and the lines a touch more uniform. However, the little dip in the inside of the shell for your ear’s concha ridge has remained and that makes a big difference for comfort. The materials seem to be the same as the IT03 which is a 2-piece acrylic shell though not quite as curved. This is more of a traditional deep lower half and a clean slimmer top plate insert. The other change is the introduction of a metal nozzle whereas before the nozzle was an extension of the lower shell and made of acrylic also. The MMCX connectors also seem to be the same brass material between the two IEMs though the IT01 has a deeper inset with less of the metal exposed which I quite like. You can also get the IT01 in either all-black or red and blue finish. One area that it has improved upon is that metal nozzle. The IT03 nozzle lip was not great. Pretty much most silicone tips I used from the stock selection did not stay on easily and normally remained in my ear after coming out. I sold that with some foam tips for the superior grip. The IT01 uses a separate metal barrel for the nozzle with a great lip. Tips stay on this one much better as a result. I have to give compliments to iBasso for the cable quality at this price point. 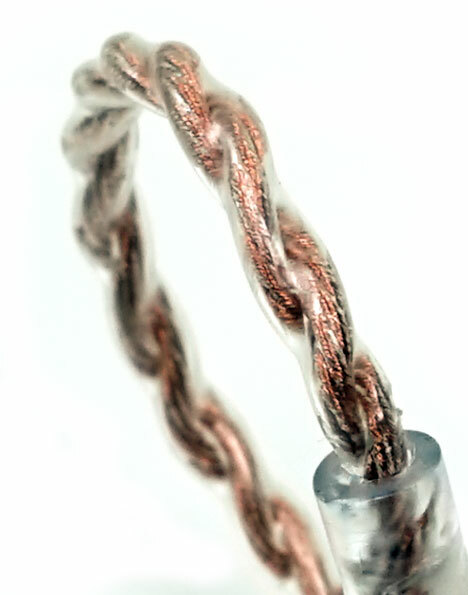 This is an MMCX terminated 1.2m 4-core OFC cable with a transparent PET jacket that allows the copper to shine through. The cable is a braided design terminated with a fairly heavy duty branded alloy barrel and 3.5mm gold plated stereo jack. It also has a matching y-split alloy barrel which is fairly light and a low-profile chin strap of similar design and color. The strain relief is acceptable though by no means heavy duty and the memory hooks are incredibly low-profile that you can hardly see where they end and the rest of the cable begins. The best aspect of this cable though is the pliancy. This feels like a premium aftermarket cable in terms of very little memory-retention and next to no microphonics during use. The only slight issue I have the slightly loose braid wrap, it could be a little tighter. That’s nitpicking though on an otherwise top-notch build quality. In summary, bloody excellent and perhaps the best at this price point. Its light for a starter and even with the supplied silicone tips, the seal is fantastic which I do not normally expect for a vented dynamic driver design. This is up there with BA designs in terms of seal once you start messing around with the foam tips. True, this could be anecdotal given our ears are all different but given my positive experience with the IT03 fit being largely echoed far and wide, I see no reason why the IT01 fit won’t garner the same universal praise. So what is the secret? That concha dip is one big factor. Take the pressure away from the ridge is very satisfying. The smaller size also helps with a deeper insert. The better nozzle lip prevents tips from falling off when taking them in and out of your ear. Lotas of reasons really and all of them rather good. The IT01 comes supplied with s/m/l single bore silicone tips which are the same tips that came with the IT03. These are wide bore tips so they will let in a bit more background noise and trim down on the bass response. The m/l foam tips seal even more but will attenuate the top end a little and some additional low-end weight. The retail packaging is neat and tidy and of a high quality. The box is a flip lid held in place by a retail print outer sleeve. The curve will remain the same you will just get a bit more power which may or may make the presentation sound more exciting and punchier. Depends on your source’s own balanced output capability. Hey Marcus, I’m in market for a daily driver for outdoor duties to complement my iSine10. My music preference is primarily Metal, followed by Classic rock and Blues. What is your take about it01 performance in these genres? My driver is M0. I had owned the F9pro previously and loved its sound. Is it possible to wear these straight down the ears instead of over them? why this little brother has 2 points more than it’s more complex sibling IT03 ? 1-how was the synergy with hiby R3? 2-does it handle distorted guitar sound well(metal/rock)? R3 is fine, no issues there at all and you can DSP to get the right tone with their 8-ball software. Compared to the Rockjaw Resonate with the ‘green’ filter attached, which one sounds better, especially on the bass department? Currently I use se215 hd6xx. 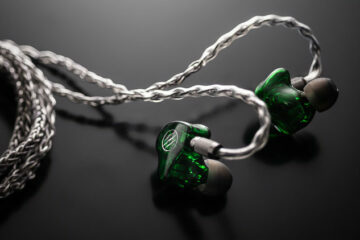 Looking for new daily IEMs, with balanced natural sound, and emphasis on “raw performance”. I only ever tested the MA750 out of that lineup but the IT01 is a cooler signature with more of a v-shaped response and a slight emphasis on higher pitched vocals. The MA750 might be a bit more neutral sounding. Pro is more balanced, the IT01 is more musical with greater bass weight and cleaner treble. IT01 is also cheaper. How does this compare to the fiio FH1? Which sounds better? I will be able to tell you in a few weeks :) Review of the FH1 coming soon. How compared with Oriveti New Primacy?? One is a third of the price for a starter :) Primacy has more mids presence and a more resolving/balanced signature. The IT01 excels as a fun and musical v-shaped signature and would be in class at the $100 marker. Hello Marcus, the question because in 2 others reviews answered me that it is better in the resolution and soundstage. I imagine it’s part of the hype … it would be illogical considering the price differences. How’s isolation and sound leakage, considering the vents? Would I annoy people in a quiet office? Thanks for your reply! I was more concerned about leakage due to the vents but that’s good to hear. In fact I’m even considering Etymotic HF5 purely for the lack of leakage as I don’t want to disturb others but judging by this review, I think I’d enjoy the sound signature of the IT01 a lot more.